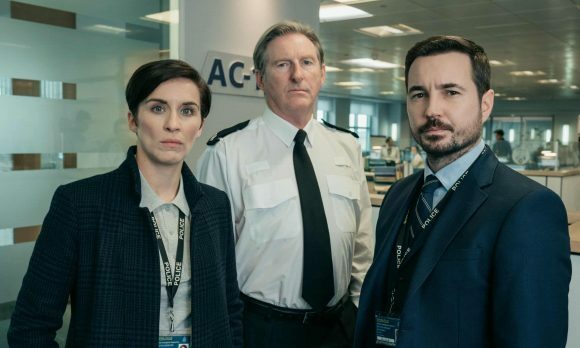 SoHo will premiere the latest season of top cop drama Line of Duty on May 19 (8.30 Sundays). Stephen Graham (Peaky Blinders) and Rochenda Sandall (Black Mirror) join the cast as John Corbett and Lisa McQueen – two pivotal figures in a lethal organised crime group. Known to have links with corrupt police officers and suspected to be under direct command of the shadowy figure known only as ‘H’, Corbett and McQueen become persons of interest to AC-12 following a deadly chain of events. When I interviewed Jed Mercurio last year, I droned on at him for ages about the way that Line of Duty is set in no particular city, which sometimes gives it a feeling of being outside all cities, perhaps in some sort of ethereal parallel reality. Mmmm, sort of, he said, after putting up with this for a while, before pointing out that it was actually just because the BBC had been worried the real police might sue if they set it in Birmingham. Meanwhile, the S5 premiere broke a ratings record for the series, averaging 7.8 million viewers — up 2.8 million on the S4 premiere.